The Facts of Rural Life was launched last week at the Farmers Club in London. Among those attending were Members of Parliament and Peers, including five former ministers, as well as scientists, journalists, country vets and representatives of a range of organisations involved in nature conservation, land management, animal welfare and field sports. The book was launched by Sir Nicholas Soames and Kate Hoey, two MPs who are widely respected for their knowledge of rural affairs and commitment to the countryside, and I am very grateful for their generous comments. Sir Nicholas began by saying that the project – which was instigated by Brian Fanshawe and Jim Barrington – was “extraordinarily important”. Kate Hoey had this to say: “Certain animal rights groups have convinced the public, much of the media and many politicians that there are only two camps – one that likes wild animals and doesn’t kill them and another group that kills them just for fun. That situation suits the animal rights groups, but it could not be further from the truth. Wildlife management covers a range of activities, not all involving the culling of wild animals, but it is naive to think wildlife can be properly managed without some form of culling.” The book, she added, should be read by all those who genuinely want to improve the management and welfare of wild animals. If there is just one message to come out of the book, I would like it to be this: that decisions about wildlife management – whether they are to do with badgers or wild boar, foxes or alien species – should be based, wherever possible, on good science and hard evidence. The people who are in the best position to supply this are those who are working in the field, whether they are practitioners such as gamekeepers, conservation managers and farmers or scientists. Indeed, this book is really their story. 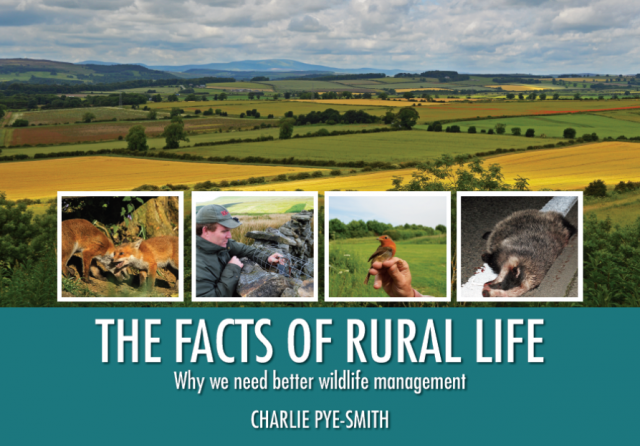 The Facts of Rural Life is published by the Veterinary Association for Wildlife Management (VAWM). Copies can be obtained from Brian Fanshawe, Old School House, Ashley, Tetbury, Gloucestershire GL8 8SX (£10 per copy or £8 each for five copies or more).